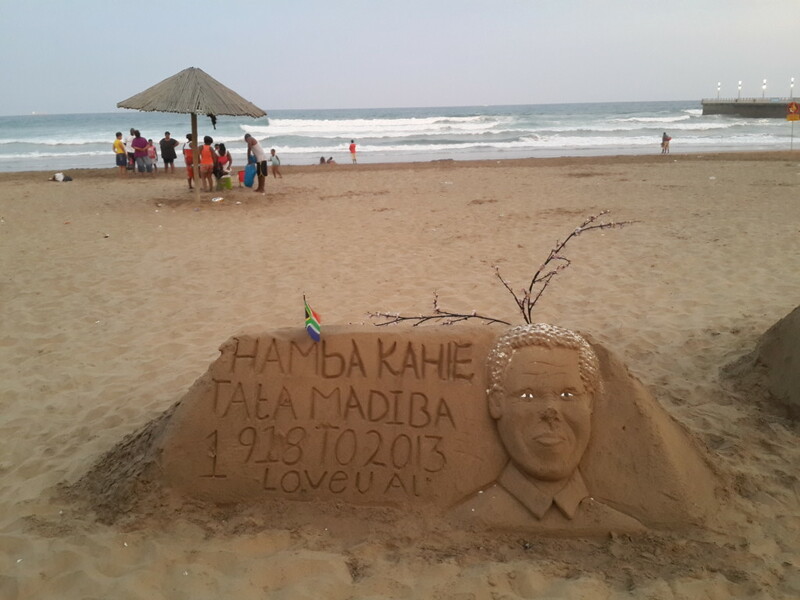 Here is a beach tribute to Nelson Mandela. It was taken at the Durban beachfront in South Africa. 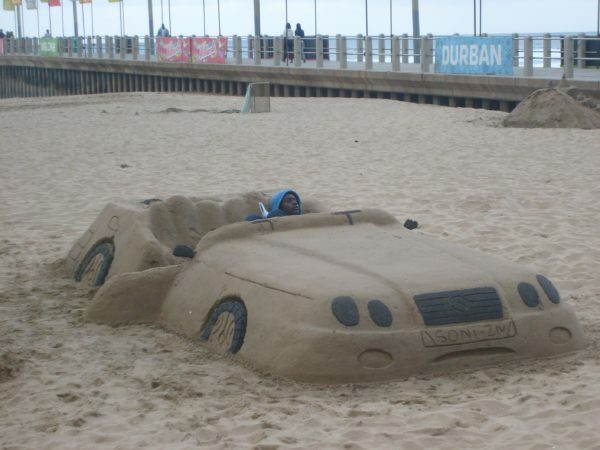 One never knows what will see there. The beach art is creative and contemporary. 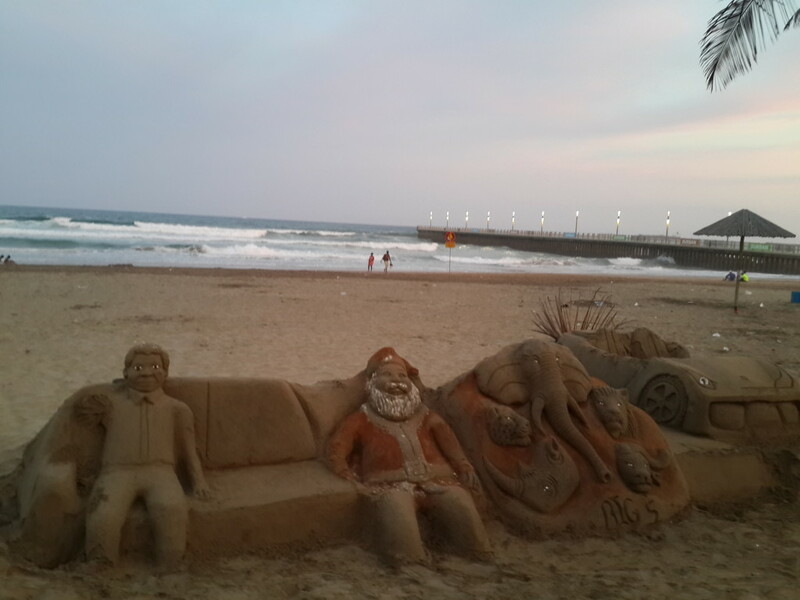 It’s a pity that the talented beach artists usually only make small change out of their art.